One of our blog readers sent in a question. 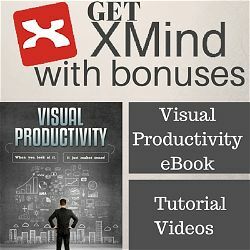 Maria asked how to split the screen in XMind 7. This is a tip that you're probably not aware of, so I figured it was time to make a video showing how to do this. There are actually two ways. One requires some basic drag and drop skills. The other uses an often-forgotten member of the XMind family to help us out. 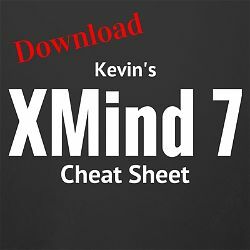 If you don't already have your copy of the XMind 7 cheat sheet now's a good time. The cheat sheet is a collection of tutorials I've put together to answer common questions about XMind. 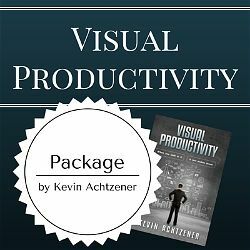 The cheat sheet is and XMind workbook with links to dozens of videos I've done and includes detailed answers to many common questions. I just ask for an email opt-in so I can stay in touch.